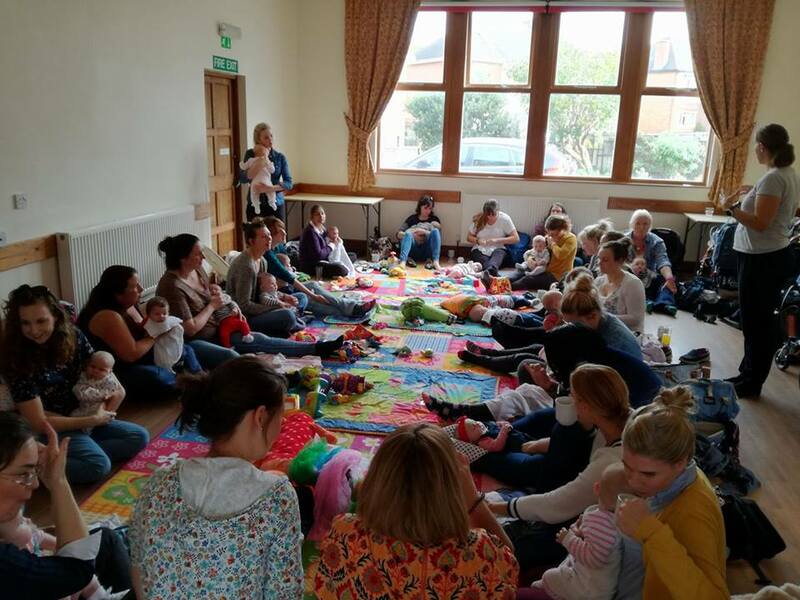 Sarah Ballard, a birth and postnatal doula in Cheltenham shares her experiences of setting up a postnatal group, first shown on her website. Having always had an interest in positive birth experiences for all, believing in the small differences of care and treatment women receive led me become a doula. I used a doula myself and knew first hand what a difference a look, smile, wise and comforting words used at the right time from a trusted familiar face could make. Supporting women to be empowered in their decision making, to know facts and evidence has been an extremely rewarding experience for me, and of course being present at the most special intimate experience for couples has been such a privilege. I saw a need for women to get out the house, see other adult faces, make friends, have a hot drink made for them and enjoy CAKE in company. Therefore I got about creating and safe space for mums and babies with the support of Emmanuel Church. Having had two babies myself I know how long and lonely some days can be with a new baby and creating friends who are in the same boat can be a vital life line. Now Emmanuel Postnatal group has been running for 6 months and has many mums come along. We often enjoy a taster from various lovely baby classes of singing, massage, reflexology, signing, first aid and more. 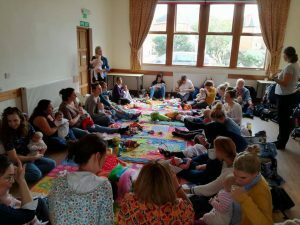 We cannot underestimate how hard it is with a new baby no matter what your circumstances, especially those suffering with PND or anxiety, it is a safe and inclusive place to connect with other mums. I thoroughly enjoy meeting every mum, watching mums grow in confidence and babies grow and develop. And I selfishly get to enjoy lovely baby cuddles, often with one of the number of twins who regularly come along. You can find us every Thursday at Emmanuel Church in Cheltenham 11:15-12:45. For babies up to 9 months old, £1.50 per family. Find us on facebook ‘Emmanuel Postnatal Group‘ or contact me sarah@gloucestershiredoula.co.uk for more information.